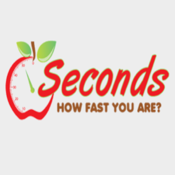 50Seconds is a game to check, how fast you are? It is a fun are you fast enough? You have 50 Seconds to complete a task, an easy task or a hard task. An Easy task contains 15 levels and in each level you have to click the circles in correct sequence. In hard task, there are 10 levels and in each level, you have to drag and put the circle in the basket in correct order.